Nam Tran has a background in Sociology. He holds a B.A. from Academy of Journalism and Communication, a M.A. from Brown University, and Ph.D. from the University of Queensland. Tran’s research covers a wide range of topics: alcohol consumption related women health, school bullying and adolescent health, social inequality, social network, and education among disadvantaged children. Tran has expertise in longitudinal data analyses from developed and developing countries examining changing social behaviours over life course and their implications for social consequences, reproductive health, well-being, and mental health outcomes. 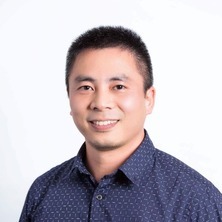 As a Postdoctoral Research Fellow in the Institute for Social Science Research at the University of Queensland, Tran has been involved in the study of educational outcomes among disadvantaged children and young people in Australia where he is particularly interested in examining how individual background, community, and family contexts influence disadvantaged children's educational post-school plan and educational attainment. Tran current work includes study of association between intergenerational class mobility and social network, social network and mental health among Australian adults. Journal Article: Commentary on De Genna et al. (2017): Why should we be concerned about adolescent mothers and their risks for long-term risky alcohol consumption over the life course? Commentary on De Genna et al. (2017): Why should we be concerned about adolescent mothers and their risks for long-term risky alcohol consumption over the life course?